ENERZAYA GUNDALAI critiques Videogames: Design/Play/Disrupt at the Victoria and Albert Museum. Museums are special places of worship for me. Walking through the European temple-like halls and devoting two hours to a single porcelain jar in the Rijksmuseum, for example, is a joyous experience. Contemplating the reasons as to why curators have placed such objects alongside each other is fascinating. Hence, when I visited the Victoria and Albert Museum (V&A) to see the ongoing exhibition Videogames: Design/Play/Disrupt, I was ready for an informative, yet playful showcase of a sentimental part of my childhood. I was curious to see how the world’s leading museum of art and design, which houses artworks and artefacts spanning over 5,000 years of human history, would frame these modern-day platforms of entertainment. Seeing how the V&A might add to the growing culture of artistic production within video games is an exciting opportunity for viewers and curators alike. The Last of Us screencap. Image credit: © Naughty Dog and Sony Computer Entertainment. The exhibition houses eight video games, including Splatoon, Phone Story, The Last of Us, and Journey. They are all games of different content and style but nonetheless have been designed by some of the brightest minds within game development. According to Mary Foulston, the curator of Videogames, the objective of the exhibition is to explore video games from a perspective of design and function, rather than that of art or entertainment. I thought that this was ironic, considering the somewhat misleading title of the exhibition which indicates ‘play’ within entertainment. Visitors are taken to the backstage of video game production and shown the messy process that lies behind the curtain of a finished game. The opening scene presents a sprawl of pinboards, concept sketches, prototypes and actors in motion capture suits. Visitors have the opportunity to play some of the games on the exhibition, while some sections discuss (in a cursory manner) the politics of video games and celebrate the flourishing artistry and interconnectedness of the gaming community. Although the exhibition seemed to cover many aspects of the video game industry, it fell short of my expectations. It lacked the showmanship that initially attracted 2.3 million users to the industry. Video games and their subject matter – the visuals, the story, the interactivity – were lost in the over-intellectualisation of a single side of video games. Journey screencap: Avatar and desert ruins. Image credit: © Thatgamecompany and Sony Entertainment. Call it what you will – the glitz, pizzazz, magic of video games was sorely missing in the exhibition. The games themselves were stunning, but it was difficult to see how the exhibition enhanced the visitors’ experience of them. 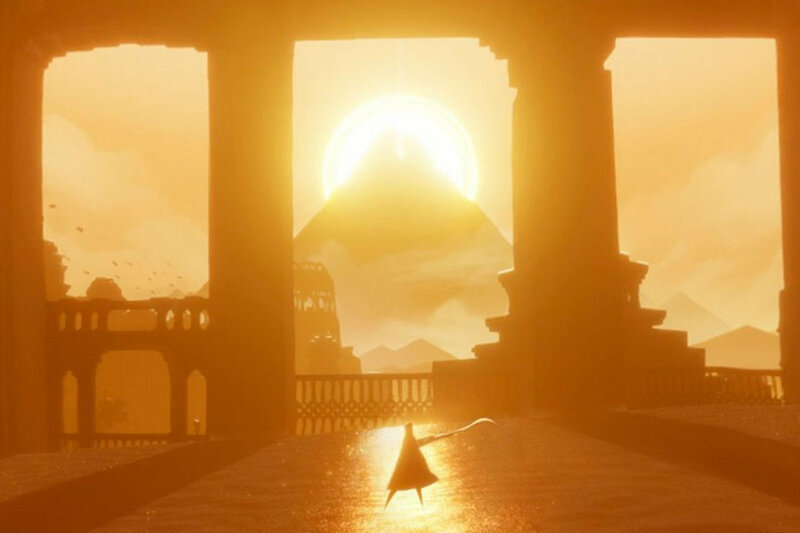 Journey, an indie adventure game developed by Thatgamecompany for the PlayStation 3, had initially attracted over 100+ industry awards and media accolades during its initial release in 2012. IGN had rated it ‘one of the most beautiful games of our time.’ This remarkable project from Thatgamecompany tells the story of a traveller and their journey. The player begins as a nameless, cloaked figure in a vast world consisting of a sweeping desert. Unlike the typical third-person shooter trope in video games, Journey ignores the gaming traditions of scorekeeping, lives, and statistics. Instead, the player controls the cloaked figure to navigate and explore a world to reach a shining mountain in the distance. The ‘point’ of the game is both to reach this mountain while appreciating the beauty of the world unfolding around you. The game presents magnificently rendered ruins in the sand, shimmering cloth, and wonderfully smooth motions of jumping, landing, and flying of the player’s avatar. The game is designed to be visually stunning, and I was excited to see the display of such artistry. Journey screencap: Avatar and the Shining Mountain. Image credit: © Thatgamecompany and Sony Entertainment. However, the way content was locked away in glass cases felt archaic and wholly inappropriate for the subject matter of the exhibit. Small posters were distanced from viewers, and the sense of navigation and adventure inherent to the game was lost and intellectualised. Human creativity coupled with technologies such as virtual reality surround sound systems and holography can achieve awe-inspiring feats. Large-scale installations and immersive experiences are only the first two ideas for exhibiting video games that come to mind. The brochure for Videogames promotes a forward-looking image of the V&A, yet the exhibition is disappointingly backwards-looking in its presentation. Splatoon avatars in streetwear-inspired clothing. Image credit: © Nintendo. The designer of the video game felt buried beneath the design process. What I wish the exhibition would have shown is the designer’s inspiration, their struggle in the process of video game development and their passion for video games. What I saw instead were rooms stuffed carelessly with pinboards, concept sketches, and prototypes. For example, the stylish world of Splatoon – a colourful action game developed by Nintendo for the Wii U- has roots in the 90s skateboarding and hip hop cultures of America. This could have been explored in the fashion of the game. The avatars, cartoon characters of half-human, half-squid hybrids dress up in punk band t-shirts, Air-Jordan-esque sneakers, and move around in vehicles similar to skateboards. 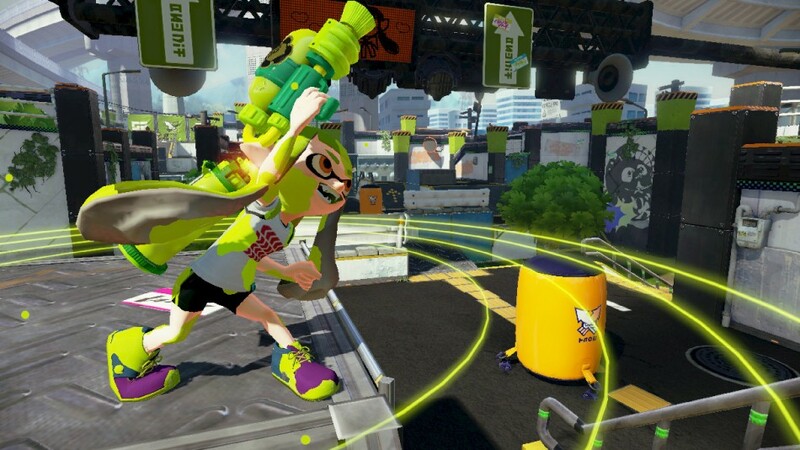 Streetwear made its way into Splatoon as a crucial stylistic aspect of the game. Hisashi Nogami- Splatoon’s producer- modelled avatars heavily after musical icons in the 90s in both America and Japan. Yet, little emphasis was placed on this facet. Instead, multiple sketches of fashion, architecture, and ink-gun designs were placed on display without much attention placed on which artistic feature of these features the exhibition wanted to focus on. The design of the game which held informed, creative direction was looked at briefly, in a cursory manner. 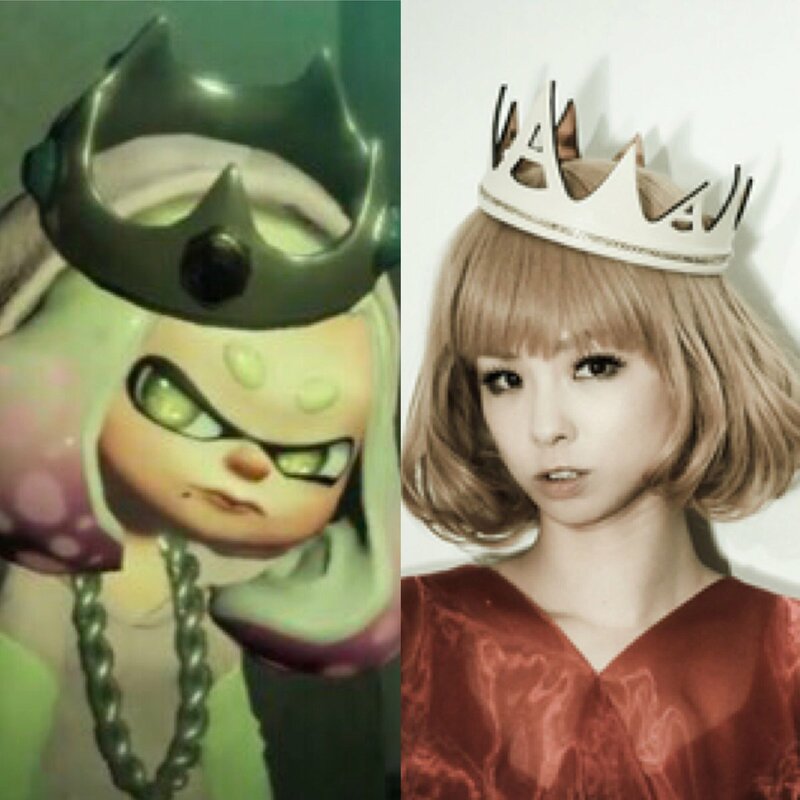 Japanese singer Toshiko Koshijima and Splatoon character. Image credit: © Nintendo. To add to the game’s poor presentation, it felt as though Videogames was based on a poorly written, rambling script with stilted dialogue. It lacks the human touch – which is disappointing, for video games are produced by humans, for humans. Even when the exhibition discusses the ‘politics’ of gaming and the wider issues surrounding the pastime, it is on a rather superficial level. The treatment of minorities and the popular prejudice against gaming as a violent, antisocial activity were examined, briefly. These topics are left out until the midsection of the exhibition and appear to be rather inaccessible in the way they are presented. Distributed around some tables in the room is text on these issues that reads like a secondary school student’s essay. It is only towards the end of the exhibition that the human aspect of video games became clearer. Displayed on a colossal video projection screen are remarkable feats of cosplay presenting the close-knit gaming community and remarkable virtual constructions made by gamers on Minecraft. Splatoon screencap: The Squid Sisters. Image credit: © Nintendo. User interactivity is a feature essential to video games as an art form. The scale and success with which video games can draw their players into the alternative worlds are unmatched. 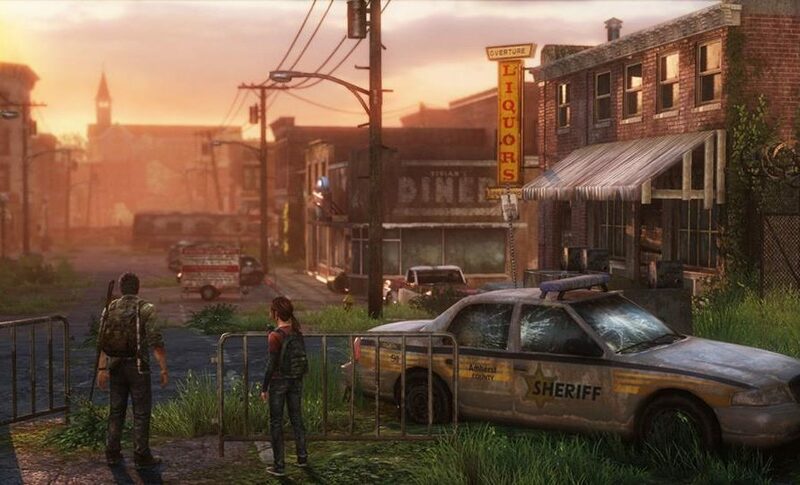 Games such as The Last of Us, which completely immerses the player in its narrative, or even Game Freak’s Pokemon games which are strategy-based games relying almost entirely on the interaction of the player. Unfortunately, I cannot say that the exhibition drew me into the world of video game design. Users are only allowed to play elementary games on mini-consoles. While some games are unusual as they are trying to break the mould, they are best played for absurdity value than for gaming enjoyment. 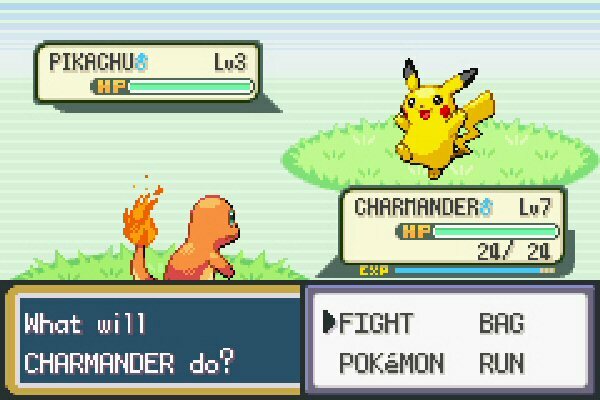 Screencap of Pokemon: FireRed. Image credit: © Game Freak. Perhaps I had found the exhibition’s content disappointing due to my own expectations which they failed to meet. Maybe it was my fault for misunderstanding the intentions of the exhibition. However, I am a firm believer in the idea that the art of a given generation is part of a legacy. Art found within Designs of such a vital area of entertainment and enjoyment, preserves a generation’s collective memory, values, and identity. When future generations look back at humanity’s histories, their imaginations are captivated by the music, art, and entertainment of eras long gone. There is no denying that video games have entered mainstream culture and are vitally important to what constitutes our generation’s identity and what distinguishes us from those coming before and after us. Videogames: Design/Play/Disrupt as an exhibition will become a valuable collection for future generations, but unfortunately, it lacks substance on essential aspects of the gaming industry such as the politics and the communities built around it. Hence, in representing the spirit of our age, it does not suffice. Featured image: Journey screencap: Avatar and desert ruins. Image credit: © Thatgamecompany and Sony Entertainment, 2012. Videogames: Design/Play/Disrupt is on exhibition now until the 24th February 2019 at the Victoria & Albert Museum.